Medical malpractice is defined in the law as a violation of the “reasonable standard of care” offered by most healthcare providers – a violation that results in harm or injury to a patient. When medical malpractice happens, a healthcare provider breaches the accepted professional standard of care by acting negligently, irresponsibly, or recklessly. Doctors, however, are not the only healthcare providers who can be held accountable for violating an accepted professional standard of care. 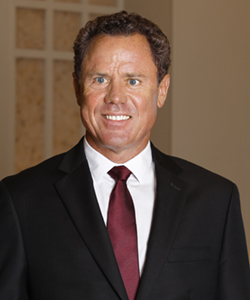 This is where our medical malpractice lawyers can help. When a nurse fails to perform his or her professional duties competently and in a manner that a normally competent nurse in the same situation would perform those duties, and when that nurse’s failure brings injury or harm to a patient, the nurse may be responsible for nursing malpractice. A negligent nurse can harm a patient in a number of ways. In some medical malpractice cases, the central issue will be determining who is genuinely and ultimately liable for a nurse’s malpractice – the nurse, the doctor, or in a hospital setting, the hospital itself. Medical malpractice does not include every conceivable medical mistake that might happen. For any particular medical incident to meet the legal definition of medical malpractice, there must be negligence on the part of one or more healthcare providers, and that negligence must lead to demonstrable and quantifiable injury or harm to a patient. If you believe that you or someone you love has been victimized by nursing malpractice – or in any incident of medical malpractice – in the Bronx or anywhere in or near New York City, promptly discuss your rights and legal options with a medical malpractice attorney. Nurses at both private and public hospitals in New York, in clinics and doctors’ offices, and at all other healthcare facilities – as well as nurses who are employed by home healthcare agencies – owe a duty of care to every patient. When a nurse’s negligence causes a patient’s injury or harm, victims and their families must obtain sound legal advice and candid, concise answers to their concerns and questions. 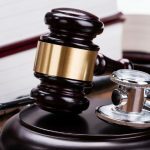 What kinds of situations constitute nursing malpractice? Failure to monitor a patient or to act on a patient’s behalf: Nurses are usually a patient’s on-site, frontline healthcare provider. In unexpected emergencies, nurses may be liable if they do not immediately take appropriate measures, which could include providing medication, summoning a doctor, and/or other procedures. If a nurse fails to monitor a patient responsibly, and harm or injury to the patient is the result, that monitoring lapse may also constitute nursing malpractice. Equipment errors: Carelessly or inattentively injuring a patient with medical equipment almost always constitutes nursing malpractice. Harm caused by dropping or knocking over medical equipment, burning a patient, or leaving something like a sponge, for example, inside a patient’s body after a surgery – all of these actions may constitute nursing malpractice. Medication errors: If a nurse administers the wrong medicine – or the right medicine in the wrong way – the nurse may be liable for any injury. Even when a victim of nursing malpractice and that victim’s attorney can prove that a nurse’s negligence caused injury or harm, the issue of legal responsibility for that nurse’s negligence still must be answered. 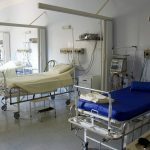 Many nurses, of course, are hospital employees, so hospitals are often named as defendants in nursing malpractice cases. A public or private hospital may be held legally accountable for nursing malpractice if a negligent nurse is that hospital’s employee, if the patient was injured as the nurse performed a job duty, and/or if the nurse was under the supervision of a doctor employed by the hospital. If an attending doctor is supervising the nurse, and if that doctor is independent and not a hospital employee, the hospital may not be liable for an incident of nursing malpractice even if the hospital is the nurse’s employer. A doctor’s liability for a nursing malpractice incident hinges on whether the doctor was present and had the authority and ability to prevent the malpractice. 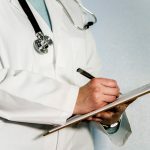 In such cases, whether final liability is assigned to the hospital or to the doctor does not alter the fact that malpractice occurred and that the victim is entitled to recover damages. – A particular party has legal liability for that nursing malpractice. – The victim of the nursing malpractice suffered quantifiable damages. Usually, in nursing malpractice cases, both sides ask a medical authority to provide evidence regarding how a typical, competent nurse might have reacted in the same circumstances. An experienced Bronx medical malpractice attorney may also ask financial analysts and/or medical consultants to testify or to offer a statement on a victim’s behalf and to help determine the amount of compensation that an injury victim will require. IS THERE A STATUTE OF LIMITATIONS ON NURSING MALPRACTICE CLAIMS? You must take action right away if you or someone you love is a victim of nursing malpractice. In most cases in the state of New York, a medical malpractice claim must be filed within two-and-a-half years from the date of the alleged malpractice incident that caused the patient’s injury. However, an adult injured by nursing malpractice at a municipal hospital in New York City has only ninety days after the date of the incident to file a nursing malpractice claim, and a “Notice of Claim” must also be filed before a malpractice victim can sue a New York public hospital. Don’t wait two-and-a-half years – or even ninety days. If you have been injured by a nurse’s negligence, speak at once with a medical malpractice attorney. Medical malpractice law is particularly complicated in this state. Anyone in New York who is a victim of nursing malpractice must have advice and representation – as quickly as possible – from an attorney who has substantial experience representing the victims of medical malpractice in our state and fighting for justice on their behalf.